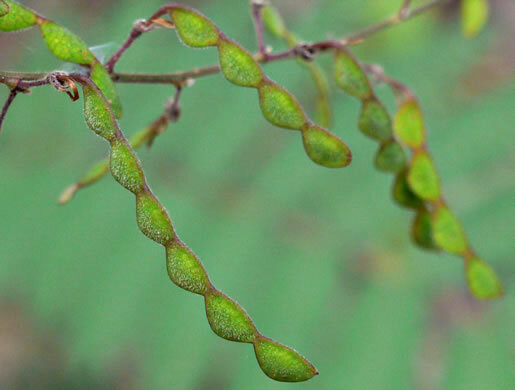 Your search found 12 image(s) of loments of Desmodium species. 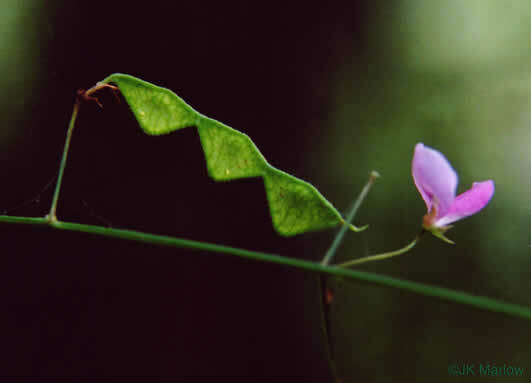 Legume (loment) straight across one edge and scalloped along the other, per Atlantic Coastal Plain Wildflowers. 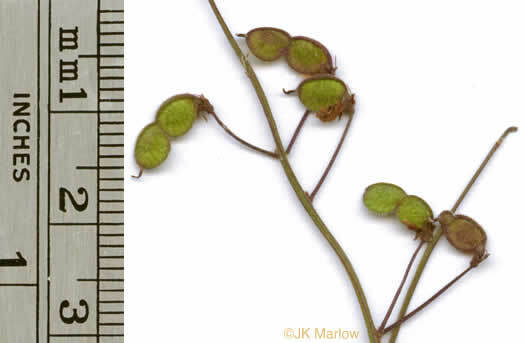 Loment of (3-)4-6 segments, both margins about equally indented, per Vascular Flora of the Carolinas. 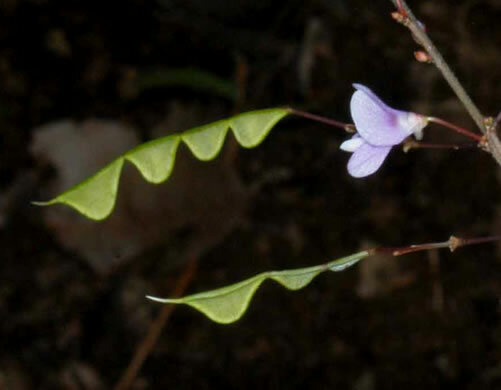 Loment of 2-7 segments, per Vascular Flora of the Carolinas. 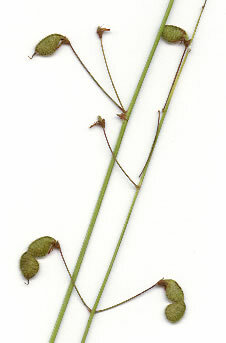 Each 3-3.5mm long, per Weakley's Flora. 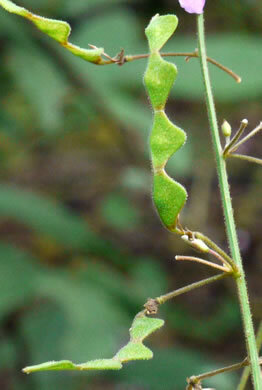 Loment segments nearly symmetrical (diamond, rounded-diamond, or ~ elliptical), per Weakley's Flora. 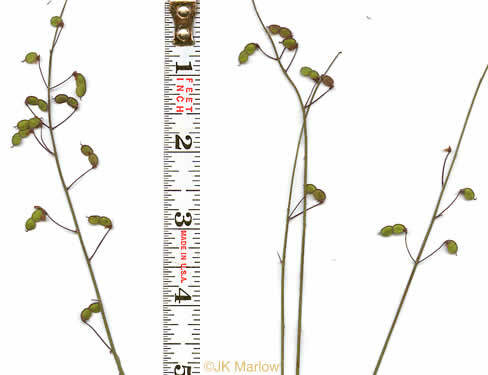 Loment of 1-2(-3) subovate segments, each 3.5-6mm long and 2.8-4mm broad, per Vascular Flora of the Carolinas. 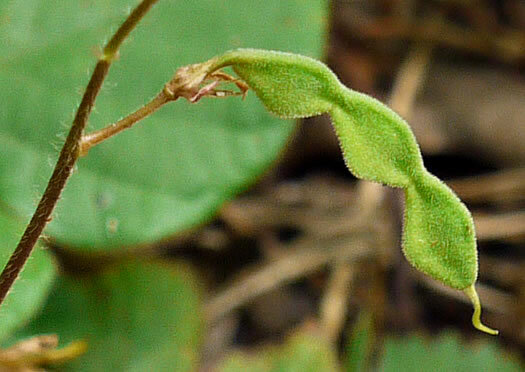 Loment - upper slightly convex to almost straight, broadly rounded below, per Vascular Flora of the Carolinas. 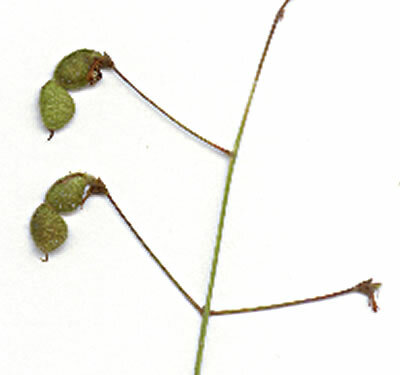 Pedicels 0.5-1.9cm. 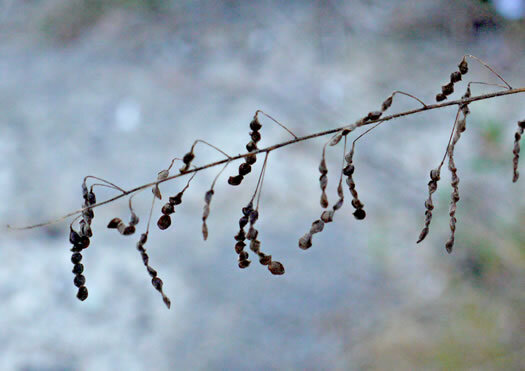 Loment densely uncinulate-puberulent, per Vascular Flora of the Carolinas. 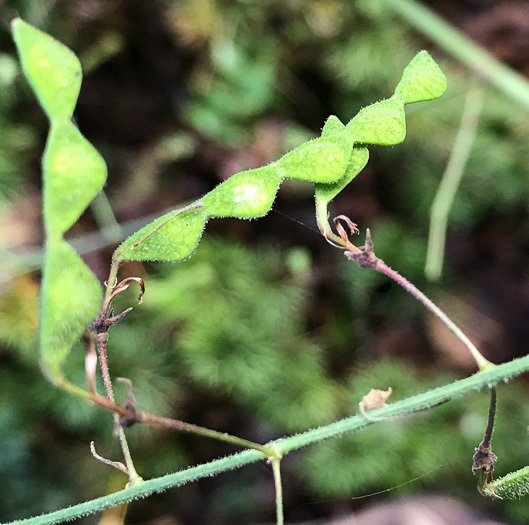 Loment segments angled on lower margin (thus triangular to sub-rhombic), per Weakley's Flora. Loment's upper sutures straight or slightly convex, lower abruptly angled, per Vascular Flora of the Carolinas. 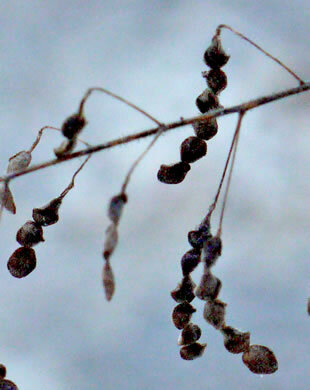 Loment straight, with (3)4-5(6) segments, per Weakley's Flora.